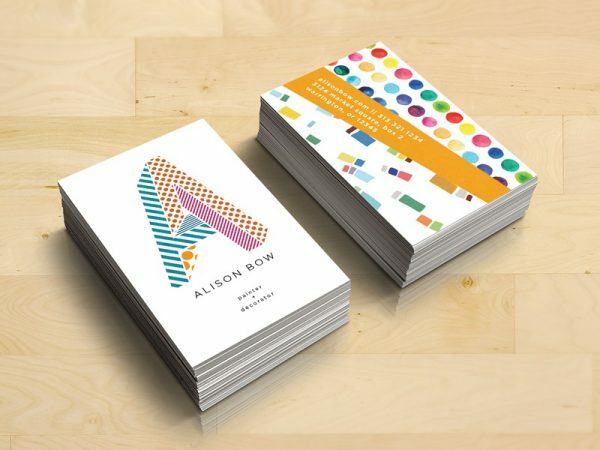 Chris Go designed these business cards for Alison Bow, a decorator and painter. Alison needed a visual identity for her painting and decorating business. Strong use of color, geometry and pattern are hallmarks of Alison’s decorating style and she wanted these elements to be reflected in her new brand identity. Therefore, Chris chose a bold, playful and contemporary design for the business cards in response to the client’s requests. The process started with five variations of the logo lettering and this was the winner!  The 3D effect of the logo brings the brand to life while the contact information stands out on the orange banner, with the painted circles as the backdrop. Very catchy, wouldn’t you say?